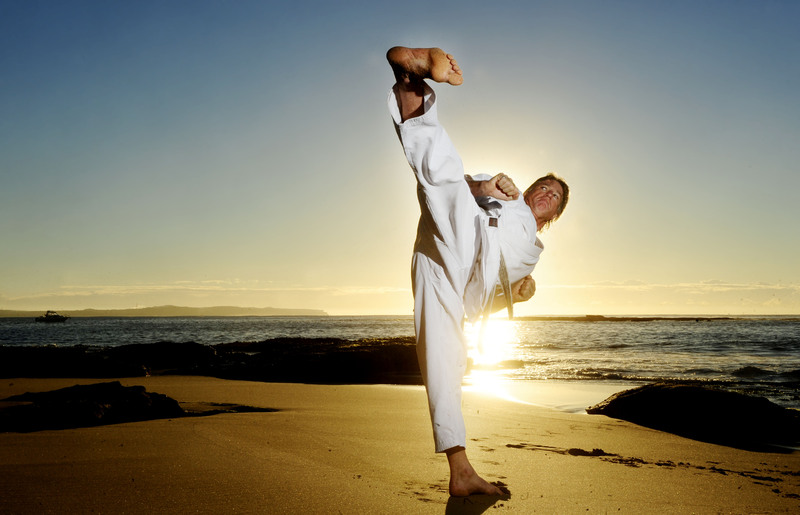 James Sheedy has been involved in martial arts for the long haul. Beginning his journey back in 1975, Jim has been training for a total of thirty-eight years and teaching for the lion’s share of them. 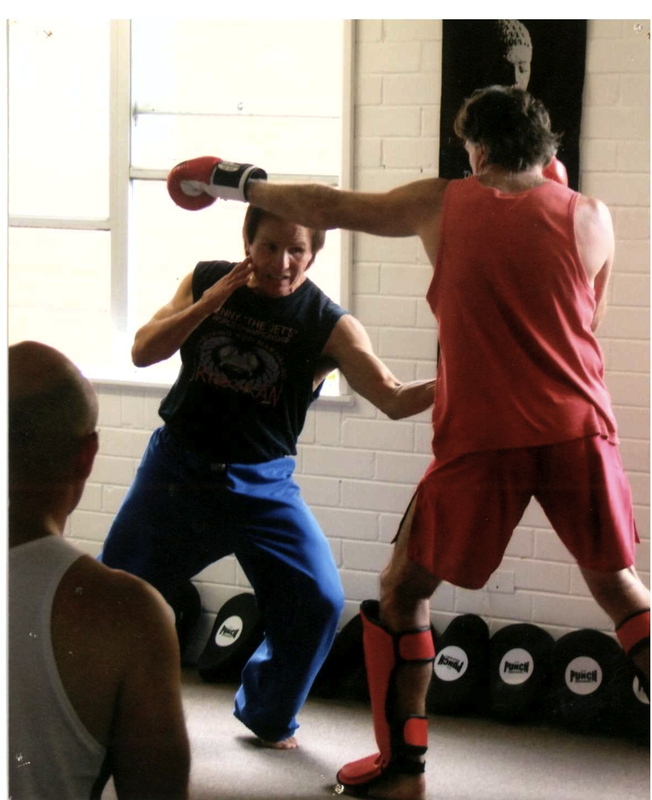 His school, James Sheedy Personal Defense Studio is located in Taren Point, Sydney. The notion of a ‘freestyle’ Tae Kwon Do school means that the style is open to adopting and studying other arts, a necessary undertaking for any traditional style that wants to remain relevant in the modern era. Like so many people of Jim’s generation, he was inspired to begin training as a sixteen-year-old by Bruce Lee. 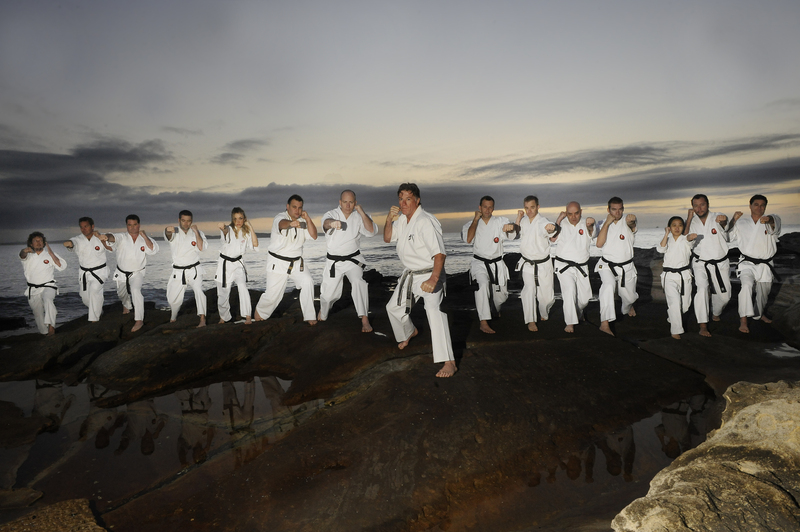 Shortly after, Tae Kwon Do came to Nowra on the New South Wales south coast. It took Jim some time to get the courage up to enter the dojo, however. “I was nervous to start. For the first six weeks, I used to come along and then go home because I was too nervous to begin. Jim continued to train until his desire to travel and see Australia got the better of him. He set out to see more of the country and, after a time, found himself settling in Queensland. He decided to resume his studies. 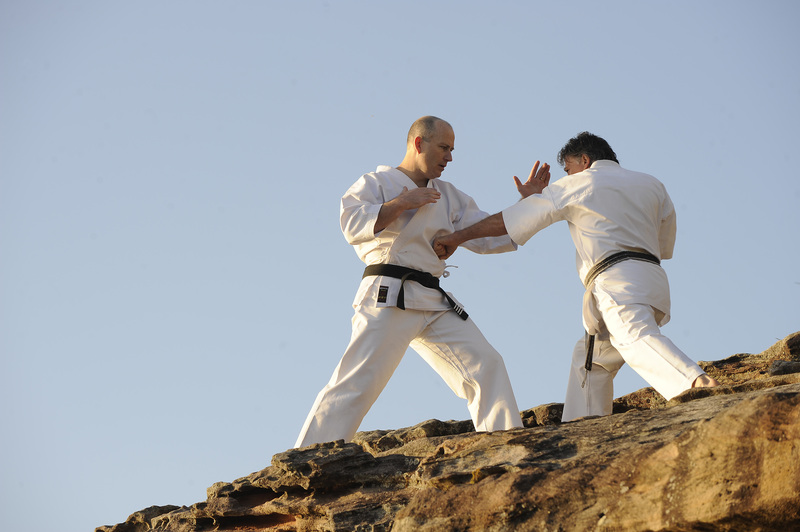 The black belt grading is – and should be – a watershed event for any martial artist. If anything, it’s the first and most distinct destination. Jim’s black belt grading was not a straightforward undertaking, however. After his successful grading, James arrived at a significant turning point. As with many of life’s most important events, it arrived as a surprise. “After receiving my black belt, I was asked if I wanted to become an instructor. I hadn’t thought of it; I was too caught up in my own training.” James began teaching at the age of twenty and found that the challenges it presented changed him as much as any other training he had undertaken to date. That vote of student confidence is one of the most significant indexes of an instructor’s ability, not simply in terms of demonstrating technique. A teacher needs to make conceptual sense of something and communicate it. It’s the quality by which a teacher’s authority lives and dies. Caspian Smith has been training with Jim for twenty-six years, beginning his own journey at seven years of age. “I started off being excited by breaking bricks… and spinning kicks. But I continue to do it today because of the impact it has on my life.” When Caspian is asked to explain what it is that Jim has as an instructor that others don’t, he is more than eloquent. Caspian’s idea of ‘meditation through movement’ is at the kernel of this notion of art. Competition has its place, but isn’t the central focus of Jim’s experience of martial arts. It’s a difficult distinction to fathom, but almost forty years of teaching and training makes it obvious to Jim. As is so often the way, the subject of competition brings the discussion around to mixed martial arts and the UFC. A truly modern martial art is tested in the crucible of mixed martial arts competition. MMA, even more than kickboxing, throws the limitations of ‘traditional’ martial arts into even sharper relief than K1 kickboxing did in the nineties. For this reason, Jim offers classes in other disciplines to supplement the syllabus. 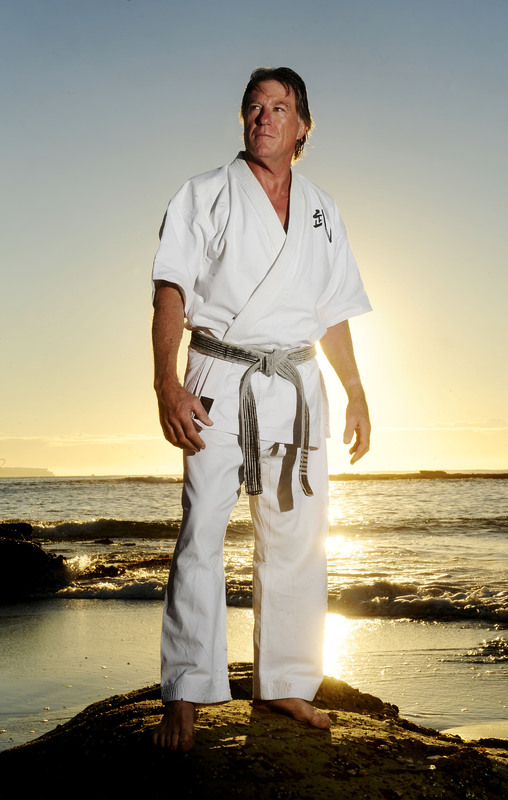 This cool-eyed, sophisticated outlook on traditional martial arts training has also informed the way James has chosen to set up his dojo in Cronulla. He refers to it as a gym, because of the way it caters to a modern idea of conditioning, with a proper weight training facility and the trappings of a modern gym. This willingness to include other ideas and viewpoints is another aspect of his strength as an instructor. Anthony Rogers is another of Jim’s long-standing black belts. He commenced training at thirteen years of age, pushing his total time under Jim’s tutelage to a total of thirty-two years. Jokes aside, Anthony says that Jim’s willingness to not only look at but include other styles is a result of his confidence as an instructor. In order to do this, Jim has sought out the very best instructors available, which has resulted in some fruitful, high-profile partnerships. Benny ‘The Jet’ was one of the progenitors of kickboxing. A highly-skilled martial artist, Benny also branched out into promotion to answer public demand for the sport in the late eighties and early nineties. One of his most significant contributions was to lift Stan ‘The Man’ Longinidis from amateur rankings by giving him the opportunity to train at The Jet Center in the Hollywood, elevating him to World Champion status. 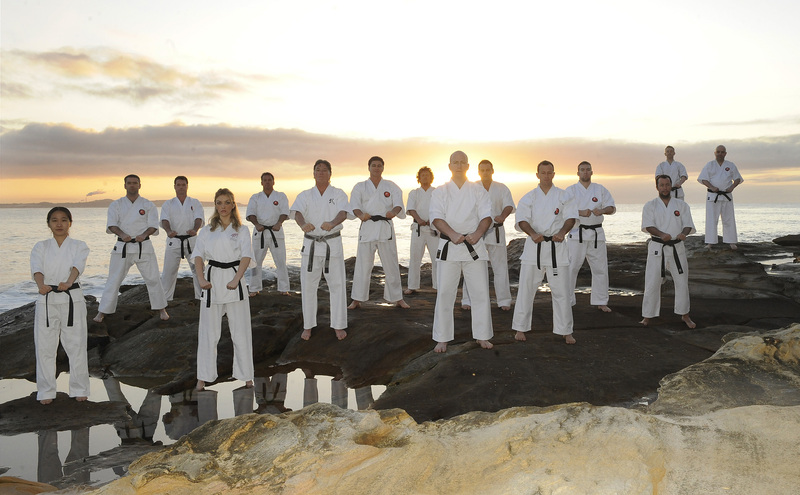 Traditional martial arts such as Tae Kwon Do have a reputation for offering something deeper than a sport. It’s often ill-defined, but words like discipline and respect are often used in pursuit of it. Just as Jim has drawn from other martial traditions to increase his student’s experience of training, he has also sought to broaden its philosophical basis. James learned about the Japanese principle of Satori during his studies of Zen. In the course of Jim’s journey, he has also traveled extensively. 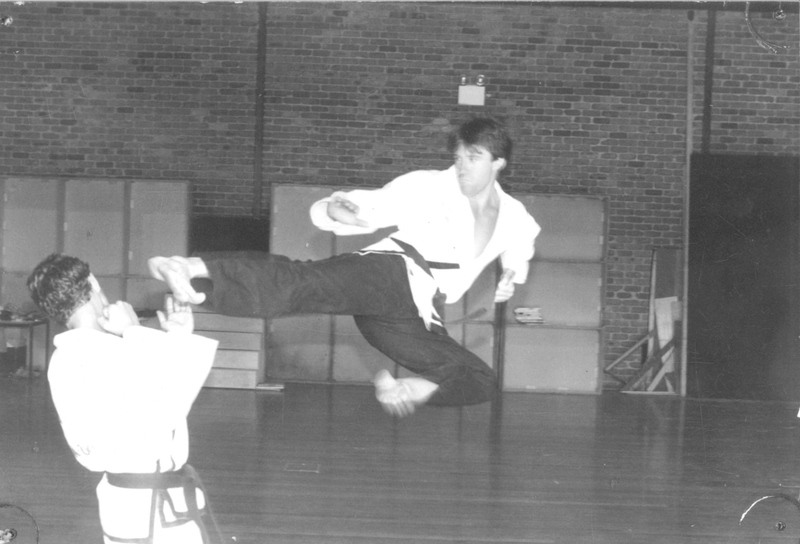 In 1986, he travelled with his then-instructor John Callegari to Hong Kong, Korea, Taiwan and Japan to experience the martial arts within their cultural context. While in Seoul, Korea, Jim graded for his fourth Dan black belt. The experience made him consider the quality of training he’d enjoyed back in Australia. That said, Jim’s most significant challenge came when he assisted Grand Master Lee Harnos in a series of demonstrations at the Sydney Entertainment Center. Harnos suspended five concrete blocks weighing a total of forty kilograms from steel pins inserted into his forearms. Jim was charged with the responsibility of breaking each with a reverse knife-hand strike, without tearing the Grand Master’s arms apart. The word ‘odyssey’ is another word for a long journey, characterized by many changes of direction and reversals of fortune. People that have committed to such a journey don’t view changes of course a waste of time; rather, it’s the way in which they discover new lands. Through the inclusion of other styles and even philosophies from different martial systems, Jim has forged a modern style in the mold of a traditional martial art. And while it is something anyone can come to and use to search for their own experience, it is Jim’s personal understanding that has created the enduring bond he enjoys with his students. “Teaching martial arts is the person I am. I’ve been teaching since I was nineteen and now, I’m fifty-seven. It never ceases to amaze me when a student or black belt recognizes in themselves an improvement, and that sense of accomplishment they feel when they finally nail those skills that have been eluding them. This entry was posted on September 6, 2014 at 11:23 pm and is filed under Journalism with tags Anthony Rogers, Aristotle, Arnis, Benny 'The Jet' Urquidez, Brazilian Jiu Jitsu, Bruce Lee, Caspian Smith, Enter the Dragon, Glen Coxon, Graham Johnson, James Sheedy, John Callegari, K1, Kickboxing, Lee Harnos, MMA, Muay Thai, Peter matlow, Rhee Tae Kwon Do, Satori, Tae Kwon Do, Taren Point, UFC, Woolongong. You can follow any responses to this entry through the RSS 2.0 feed. You can leave a response, or trackback from your own site.